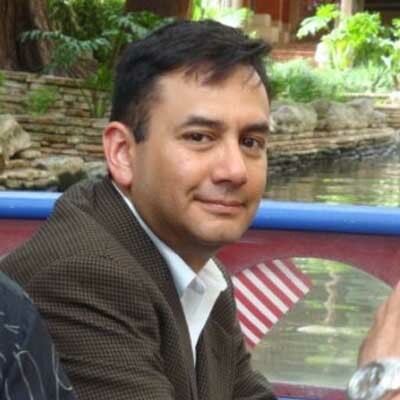 Paul Luna is a Senior Marketing and Innovation Manager who works with The Kellogg Company to bring new products to shelf and sustainable new businesses to market. Paul has significant experience in the full innovation process, from idea generation through launch, in-market promotion and business incubation. Paul believes in the power of customer insights and Design Thinking to deliver successful new products and the importance of an integrated marketing plan to raise awareness and drive sales. Prior to Kellogg’s, Paul worked in marketing and innovation at General Mills, Kraft and Land O Lakes and as an engineer in the energy and environmental consulting industries. Over the past fifteen years, Paul has successfully developed and launched over fifty new products into market, developed multiple marketing and advertising campaigns, and is currently working at the intersection of Technology and Food to help Kellogg’s meet the food needs of customers in the new intelligent machine age. Paul was awarded a patent for a high-pressure processing sensor and was previously a licensed Professional Engineer. One of Paul’s new products was selected as a Best New Product of the Year by Better Homes and Gardens and Dairy Foods magazine. Paul holds a MBA with concentrations in Marketing & Finance from the Carlson School of Management at the University of Minnesota, a Master’s degree in Mechanical Engineering from the University of Minnesota and a Bachelor’s degree in Civil Engineering from Iowa State University. What should I consider in developing a marketing strategy for my product? What is the difference between marketing, sales and business development and how do I integrate them? How do I evaluate marketing and promotional materials and provide feedback to creative agencies?